This is what we take people to see when we go to Cuzco. While others buy souvenirs, we buy the essentials. 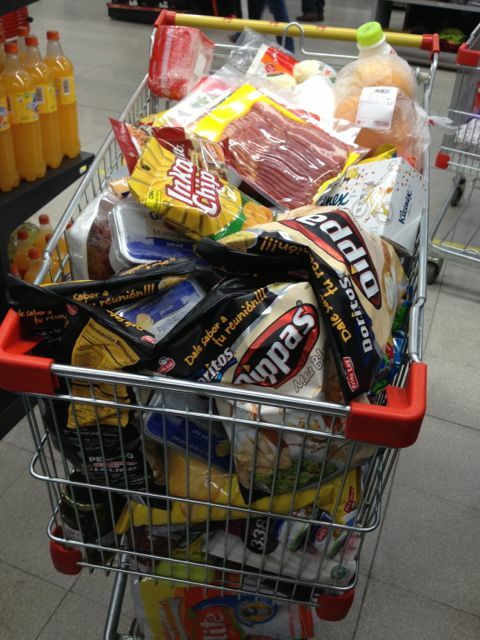 We must have Doritos! Life is barely worth living without mexican food. 😉 If only we had access to Velveeta to make queso! Only the barest of essentials. We are so glad we can get some things in Cuzco on the trips we make every 4-6 weeks. Not only is it nice to be out of town a little bit, but we always come home with a trunk full of goodies! 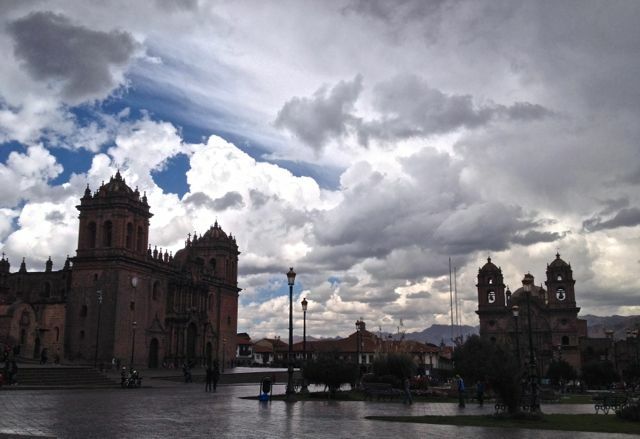 This entry was posted in Peru, Silly and tagged Cuzco, mexican food, Plaza de Armas by cairesonmission. Bookmark the permalink. Such beauty!!! How I thank God for His sky & clouds & colors. I’m sure it is amazing the things we would miss if we couldn’t have them. And I ‘m right there with you in Mexican food.